According to Livability.com these are the 10 best places to live in Colorado. Aurora has dozens of neighborhoods along with current and former military instillations, led by Buckley Air Force Base and its 12,100 employees. Residents have access to good health care thanks to Anschutz Medical Campus and University of Colorado Hospital, and more than 100 parks and a Morrison Nature Center wildlife habitat contribute to the quality of life. Nestled at the base of the Rocky Mountains is Boulder, home to the University of Colorado, the state’s largest university. The city has thousands of acres of open space for outdoor recreation, and other livability aspects include lofty rankings in education and health care. For shoppers, Pearl Street Mall is a popular retail destination. The 10th fastest growing city in America is Castle Rock, conveniently located less than 30 miles from Denver. The town has earned a spot on Livability.com’s Top 10 Golf Cities list, and outdoors enthusiasts can also enjoy Castlewood Canyon State Park. Caste Rock parents and students alike benefit from the top-notch Douglas County School District. At the foothills of Pikes Peak is Colorado Springs, with an economy propelled by the military, tourism and high technology. Military instillations are Fort Carson, Peterson AFB, Schriever AFB and the U.S. Air Force Academy, while outdoor attractions include the Garden of the Gods sandstone formations. More than 5 million tourists visit Colorado Springs each year. The largest city and state capital of Colorado is Denver, nicknamed “Mile High City” for sitting 5,280 feet above sea level. Denver has 78 neighborhoods and an active arts and music culture, plus 200 parks and other outdoor recreation choices. Pro sports teams include the Broncos, Rockies, Avalanche and Nuggets, and the city features several college campuses. Situated on Cache La Poudre River and home to Colorado State University is Fort Collins, with CSU being the city’s largest employer with 7,000 employees. Fort Collins has a thriving technology sector led by companies like Hewlett Packard and Avago Technologies, and a strong arts and culture scene is accompanied by a robust microbrewery industry. The largest city in western Colorado, Grand Junction lies along the Colorado River and has become a major mountain biking destination for adventurers throughout Colorado and surrounding states. A good education system exists along with top health care led by St. Mary’s Medical Center, VA Medical Center and Community Hospital. 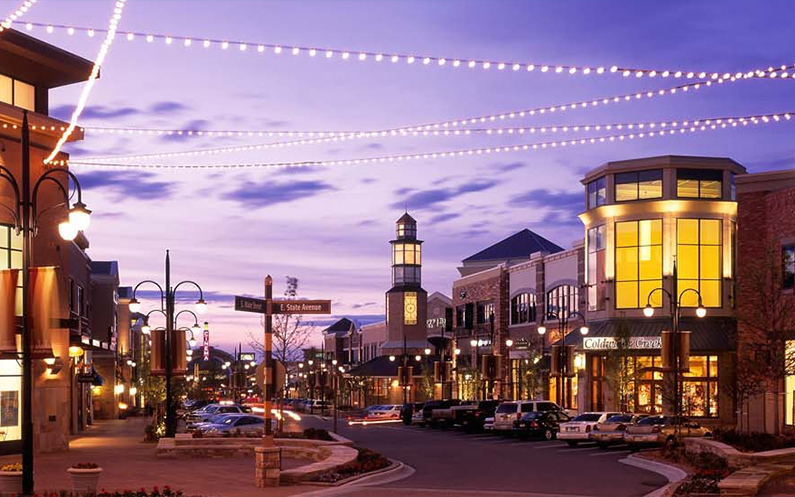 Designated an All-America City, Lakewood features a diverse economy led by the Denver Federal Center with 8,000 employees, while private companies headquartered here include Einstein Bros. Bagels, FirstBank Holding Co. and The Integer Group. The city houses Lakewood High School (an International Baccalaureate school) along with Colorado Christian University, and shoppers can enjoy Colorado Mills mall. On the south side of Denver is Littleton, a city with a quality of life that features several parks along with Littleton Symphony Orchestra and Littleton Chorale. A strong education system includes Arapahoe Community College and Collegiate Academy of Colorado, while Colorado Center for the Blind and the Denver Seminary are also headquartered here. With 300 pieces of public art on display including 100 in the city’s Benson Sculpture Garden, Loveland residents appreciate culture. Several arts-based events occur each year at Loveland Museum/Gallery as well as Rialto Theater Center, while students have higher education options like Aims Community College and Colorado Christian University. Pueblo is listed among Livability.com’s Top 10 Cities for Historic Preservation, and this multicultural community schedules many festivals each year. One such festival, the popular Loaf ‘N’ Jug Chile & Frijoles Festival, celebrates Pueblo’s famous green chiles. The city is also known for a 1.5 downtown entertainment plaza called the Historic Arkansas Riverwalk of Pueblo, or HARP. A northwest suburb of Denver, Westminster residents have access to an extensive trail network and open space system, including Big Dry Creek Trail that stretches 12 miles. A good health system exists with Kaiser Permanente and St. Anthony North Hospital, while shoppers can frequent upscale stores in The Orchard Town Center.